Since 1978, Mauritania has - with the arguable exception of a brief interlude in 2007-2008 -continuously been ruled by military men hailing from the dominant 'White Moor' group. The leader of the last military coup, General Mohamed Ould Abdel Aziz, was anointed as the country's elected president following a 2009 ballot that, while not without flaws, probably broadly reflected actual voting patterns. 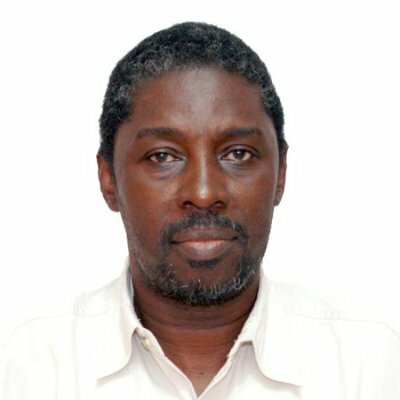 I spoke with Amadou Sall, a lecturer of social anthropology at the University of Nouakchott and leading member of the Mauritanie Perspectives think tank, about politics, social change and the prospects for democracy in this rapidly changing West African nation. The interview was conducted in French and subsequently translated into English. Q: What are the large trends driving social and political change in Mauritania? 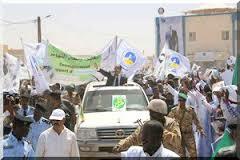 Thirty years ago, Mauritania was a rural country, and rural Mauritania had no concept of a state. Until the 1970s, people lived with the seasons, they didn't know money, only barter. There were no banks, no shops, nothing. In the decades after independence, many state posts were filled with West Africans and Arabs as there were no qualified Mauritanians to take on such work. Today, the country is urbanized. In towns, people come into contact with other groups that they would not have encountered in the countryside. To an extent, ethnic tensions come from that process, creating contact and competition between Moors and black populations from the South. There's also been an opening to the world, through migration, the media, international trade. All of these have accelerated the pace of change. Q: What are the effects of the spread of the state? The development of state infrastructure, and the parallel development of the notion of state authority and centralized power, have created a new universe. People see the state as a source of success, for example, they see how a farmer succeeded in securing a state job, like working as a guardian, and now he gets a salary. Those who act as local mediators with the state have become rich and powerful, and this has restructured society. It has undermined traditional structures and created visible symbols of new hierarchies, like cars and houses. The state has been seen as a protector, and as generous, a source of riches that should be taken advantage of. Competition at the local level revolves around who can best seduce the state and thus occupy the position of mediator. Nobody is against the state; everybody is in a competition to get closer to the state. Look at the recent rural tours of the president: it's a mobilization of rural mediators. Q: How would such a presidential tour have looked forty years ago? The president wouldn't have been able to travel there because there were no roads and no 4x4s. There wouldn't have been any towns to visit, population density was very low. And anyway, people wouldn't have known he was the president. Today, villagers look towards [the capital] Nouakchott, towards power. Q: With his power seemingly assured, why does the president bother to build rural roads and attend school opening ceremonies? People have seen the products of the state, for example, they have seen fertilizer and veterinary teams and understand that there are animal diseases and that vets can stop epidemics. This has created new needs, and people have become more demanding. Today, demands are being made of the state from all sides, more demands than the state can deliver on. We now need to re-negotiate the state. Q: What could the result of that negotiation look like? There are two possible outcomes. 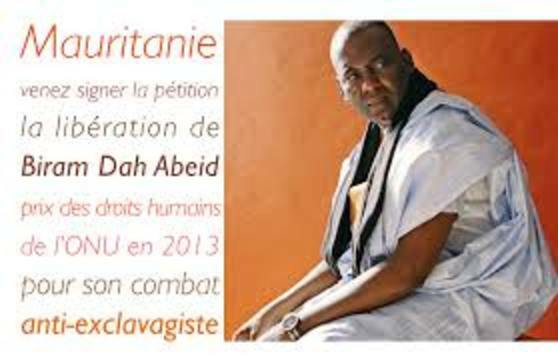 Number one, Mauritanians understand that they need to negotiate a compromise, and our leadersin particular come to understand that some things have to change. Outcome number two is an implosion, hitting the wall. Essentially, a confrontation of some form - I do not know what form, maybe a civil war. There are social demands, and we need educated visionary elites to chart the course ahead. Leadership is essential for change, and it has to be leadership that is capable of making concessions. From what I see happening around me, I'm not optimistic. Q: Could the system not just crack down and maintain power through raw repression? Maybe, but the question is, up to what point? Look at Ben Ali [of Tunesia, who was overthrown in the Arab Spring]. Things will change, the only question is when. Once you start on a path of democratization, it's like opening the floodgates - water keeps gushing out, you cannot stop the flow again. All you can do is manage that flow of demands, including identity demands. You need an outlet for frustrations, you need to create a space for expression.You also need to manage diversity, including cultural diversity. Q: How is the government managing diversity today? The state is reinforcing an Arab identity, for example through its language politics and its foreign policy. This is cultural chauvinism, and it does not reflect reality. You cannot suppress cultures through denial. For example, [members of the] Pulaar [ethnic group] in Baltimore can make music videos in their language and upload them onto YouTube, and people here can watch them. Today, you can't kill a culture without committing genocide. Q: To what extent is the government trying to alter the ethnic mix through the new registration laws? 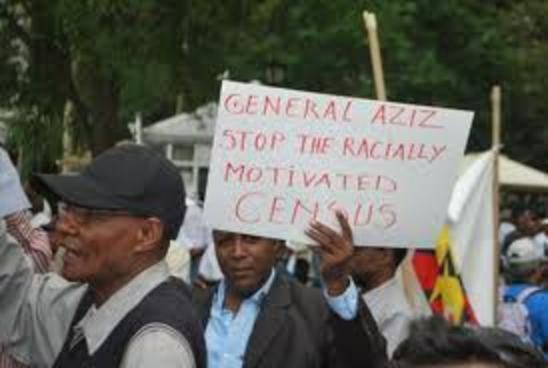 There is a culture of borderization in the south, this fear of blacks from other countries coming to Mauritania and buying passports and settling here, hence the new registrations laws. Certain black African groups [French: "groupes négro-Africaines"] saw these laws as a threat directed specifically against them. There were a lot of demonstrations and marches. If you fully apply these rules, everyone everywhere will have problems. For example, officials were asking for marriage certificates of long-dead parents; in many cases, such papers never existed in the first place. The state seems to be relaxing its stance on this issue now. At the same time, we need to acknowledge that there may be legitimate state concerns about fraudulently obtained papers. Q: Why is there no separatism in Mauritania, like in South Sudan for example? Identities are aspirations. Black Mauritanians do not have separatist aspirations. That sentiment simply does not exist, the notion is absent from the public sphere. We had a bicultural project, but now people feel betrayed. Mauritania does not have a state problem, it has an integration problem. It's paradoxical that this artificial state does not have a separatist problem while our old French colonial master does. It makes Mauritania easier to manage that France or Spain, with their Corsican and Catalan problems. Incidentally, it also shows how unfounded this European catastrophism about Africa can be. Q: Can the grassroots mobilization and activism practiced by the oppositional Initiative pour la Résurgence du mouvement Abolitionniste (IRA) not equally fulfil this role? No. The IRA's mobilization is not the same, it is only aimed at some segments of society. And for some people, the IRA is a potential harbinger of violence. Q: What is your personal take on the IRA? I see them positively because they are provocative and open people's eyes. Now people understand that there is inequality. Q: Islam is usually interpreted as an egalitarian religion. Why does the Islamic discourse in Mauritania seem to support inequality, at times even slavery? Everybody is looking for things that support their own class interests in Islam. The dominant groups in society seek passages on obedience that help them to maintain their dominance. Among our religious leaders, there is not much idealism in evidence. Each religious discourse is an expression of interest. Q: There seems to be a lot of freedom of speech in Mauritania, but little democracy. How do you explain that? Now we can freely express our opinions but these do not carry far, be it via voice or via ballot. In recent years, the televising of National Assembly debates legitimized opposition by bringing opposition leaders' voices into people's houses. It was a form of democratic pedagogy. The broadcasts continue, but because the opposition boycotted the last elections, these alternative voices are now missing. The boycott was a big mistake; to challenge power, you need to challenge power's monopoly on discourse. We need an efficient democratic system. Q: Is democracy a realistic aspiration in a country like Mauritania? The world is not linear, advanced-versus-backwards. For example, the way people here deal with the elderly is a thousand times more civilized than in Europe. Also, there are certain administrative efficiencies. You emailed me two days ago and now we are talking. In Europe , you would have had to go through my assistant, and he'd have made an appointment two or three weeks in the future. In the 1940s, we had elections here in Mauritania in parallel with elections in France. In parts of the U.S., voting rights for blacks were only fully realized in the 1960s. Up until the 1980s, there was a lot of talk of coups and dictatorships in Africa, but at the same time, Franco ruled Spain and the military was in power in Greece. We're all part of the same process of democratization. Five hundred years from now, when historians look back, they won't say the West was democratic and Africa wasn't, it's the same process that is going on worldwide. Q: What are the main barriers to democratization? The main barriers now are illiteracy and a form of anthropological inequality, in which some groups are better than others. We just need to continue, try and build democracy every day. Q: Moving forwards, what should the top priority be? Above all, we need to cultivate the accountability of government.